As PV solar energy generation continues to soar, the architectural landscape has begun to embrace PV instead of shunning the solar panels as eyesores. Onyx Solar, a company committed to developing smart solutions for PV integration in buildings, has made its mark in renewable energy aesthetic design, winning the '2016 Global Building Integrated Photovoltaic Glass Technology Leadership Award'. Boasting an impressive portfolio of projects, Onyx Solar combines the sublime with the sustainable to remarkable results. The Tanjong Pagar is Singapore's financial centre - and tallest building. Designed by the New York based architecture firm, Onyx Solar took part in the 64-storey project, with the integration of a 2,600m2 pergola at the entrance of the building, a photovoltaic canopy. This pergola has an installed power capacity of 125kWp and features 850 amorphous silicon PV glass modules; this generates enough power to supply over 7,000 lights per day for the building, that's 125,810kWh per year. 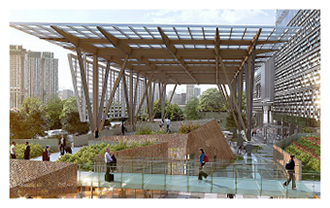 As a result of this renewable energy integrated design, the building was awarded the Greenmark, the 2015 WAN award for 'Future Projects' (World Architecture News) and the Platinum LEED certification (Leadership in Energy and Environmental Design award). The image left depicts this architecture which features renewable energy without compromising on design; capitalising on the 10% transparency degree of the glass modules. Onyx Solar celebrates renewable energy in its design, rather than attempting to conceal the PV technology, it features it to astounding effect. 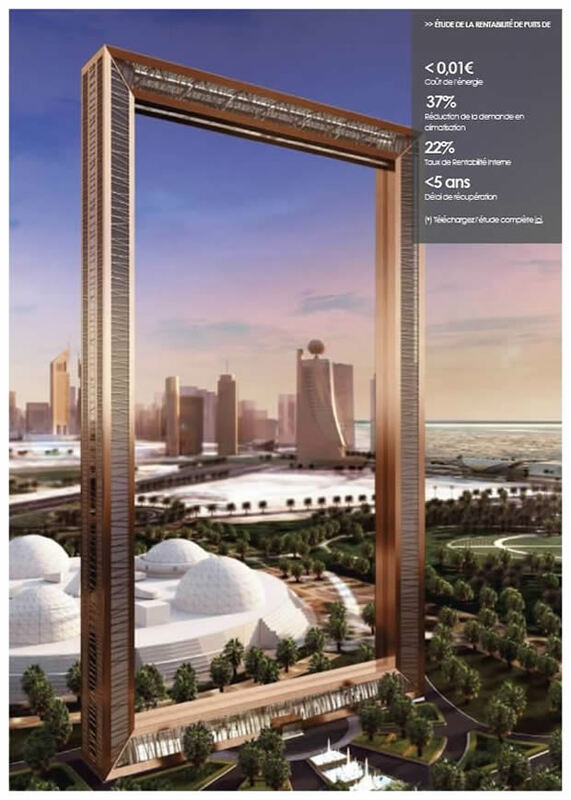 Standing at 150m tall and 105m wide, the Dubai Frame in the Zabeel Park in Dubai is certainly a sight to behold. Inspiring tourists to visit this architectural landmark, it provides over two million visitors with spectacular views of the city. Onyx Solar worked on the project, providing 2,500 485x985mm modules for the original skyscraper. The glass modules used were next-gen, 20% semi-transparency and triple safety laminate, manufactured in yellow-gold. Not only do the PV modules contribute to the aesthetic value of the structure, but they also reach a power capacity of 38kWp, providing the majority of the power needed for its operation. Abdullah Raffia from Dubai government engineering and planning commented: "The choice of using photovoltaic glass, which produces clean energy from the sun, is witness to a change in the government and to Dubai's approach to sustainability." Raffia's statement captures the importance of the solar industry for clean energy, and its responsibility to deliver pleasing design to encourage further integration of renewable energy applications. Alongside integrating photovoltaic technology into architectural design, Onyx Solar also retrofits buildings in need of a solar energy face-lift. 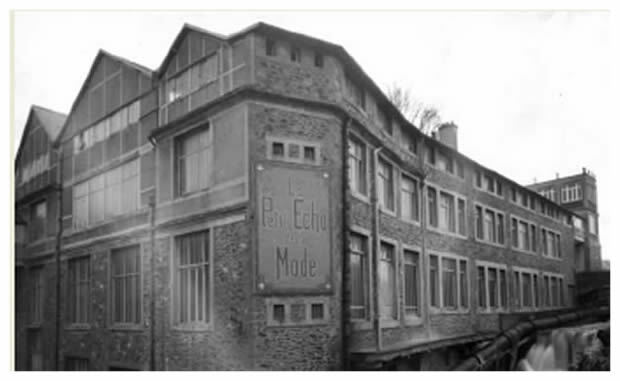 Le Petit Echo De La Mode was a printing house for the famous women's magazine, it closed in 1983 and is now considered a national heritage building. Onyx Solar were involved in the sustainable refurbishment of the property and retrofitted a photovoltaic skylight which powers over 42kWh per m2 per year. The ability to generate power for itself, means that the building, now a Culture Centre, is able reduce its electricity bill, whilst architecturally allowing daylight to flood into the space. 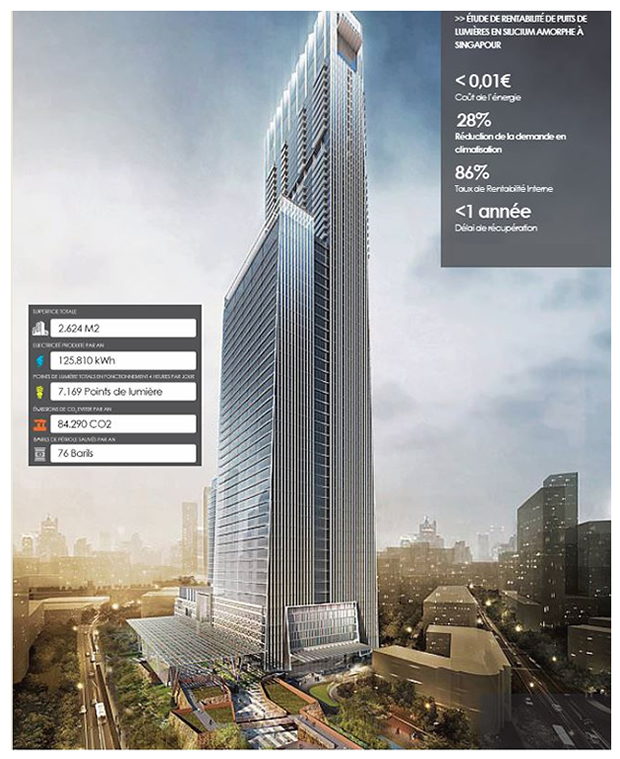 This project is an example of how solar energy generation resources do not have to be built into the original design to be aesthetically sound; Le Petit Écho De La Mode is an example of how modern sustainable energy capabilities can be combined with classic and historical architecture. 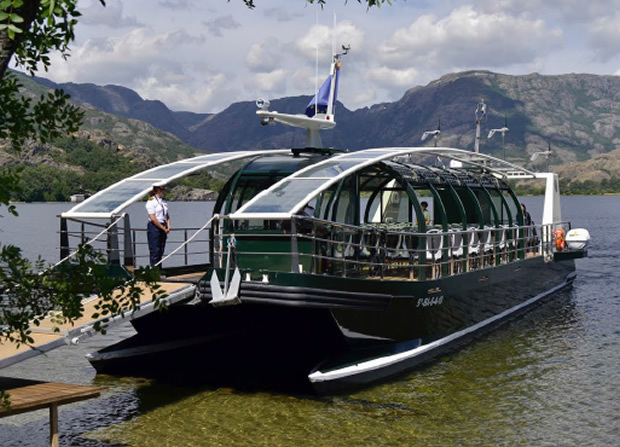 The first wind and solar powered catamaran in the world conducts pleasure excursions in Zamora, Spain. Featuring Onyx Solar's green crystalline silicon PV glass modules, the solar energy generation contributes to the green vessell's sustainable resources, which make it 100% environmentally friendly. Onyx Solar's 'Corporate Social Responsibility' policy, outlines its commitment to sustainability in three dimensions; economics, environmental and social. 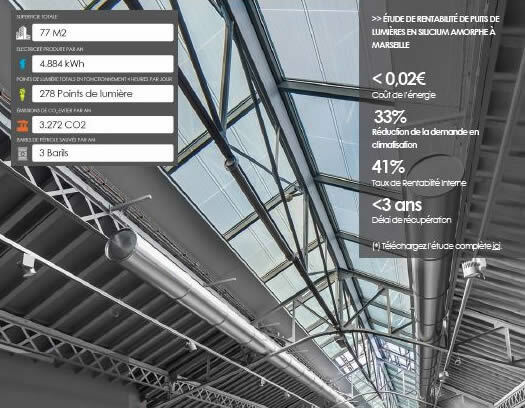 The BIPV solutions company (Building-Integrated Photovoltaics) therefore coincide PV with original architectural design, all the time maintaining a sustainable approach.